Y'all know by now I am a huge fan of anything printed. Whether its floral, plaid, striped I am all in. When I saw gingham print was coming back for spring I jumped at the opportunity to add some fun pieces into my closet. If done right and not overly done, this is the perfect effortless style for spring and into summer. 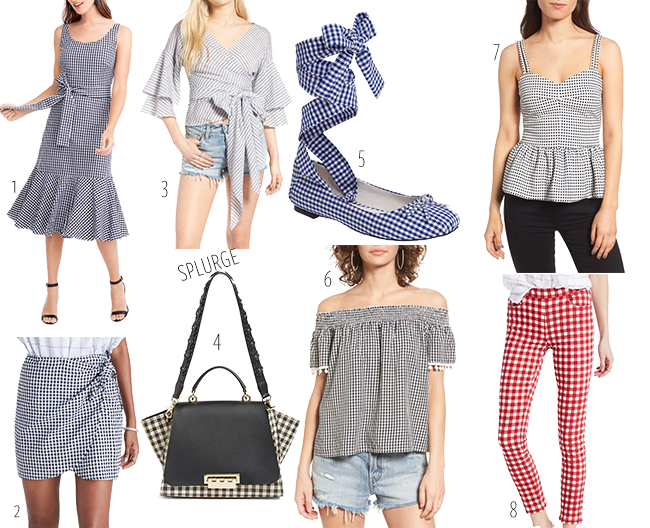 I searched the web for all the hottest gingham printed items and found these amazing options. Hope everyone had a great weekend, let's kill it this week! Great picks! Love the pants!